You love your fireplace for the cozy warmth that it brings to your home on cold winter nights, but when was the last time you thought about your fireplace’s facade or mantel and how it can also be a focal point in your decorating scheme? 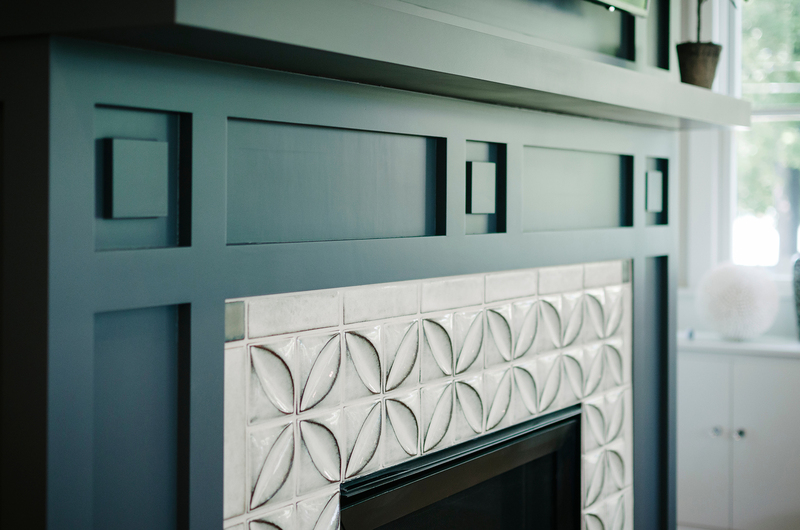 No matter the overall style of your home – from traditional 1800s farmhouse to mid-century ranch to contemporary suburban family home – there’s a mantel design that will look great. Whether you prefer to highlight artwork, enjoy displaying collections, or appreciate a more minimalist look, your mantel can complement your fireplace, the room it’s in, or your entire home. Check out some of our favorite ideas here, and also be sure to take a look at a few of our recently completed fireplace projects for even more inspiration! When you picture a fireplace mantel in your mind, you likely think of a very specific image (one surrounding the type of old wood-burning fireplace in a Victorian parlor that Santa Claus might pop out of)! Crafted out of marble, stone, or highly polished and carved wood, traditional-style mantels are elegant while promoting that comfy charm that many homeowners want their fireplace to express. They also provide a great “stage” for displaying a piece of statement artwork, taper candles in elegant brass candlesticks, a lovely mirror in a gilded frame, or even a collection of antique glassware. Do you feel like traditional mantel styles are just a little too formal for your home’s more cabin-in-the-woods vibe? Rustic touches like chunky pillar candles supported by unfinished wooden candle holders, live plants, and “shabby chic” elements will make your mantel – no matter its overall style – feel a little warmer and more inviting. With minimalist mantels, it’s more about the idea of “less” to really make sure nothing is competing with the fireplace for the viewer’s attention. While some people going for this style choose to forgo a mantel altogether, many find that some type of decorative highlight is still needed to visually divide space, especially on extremely tall walls. 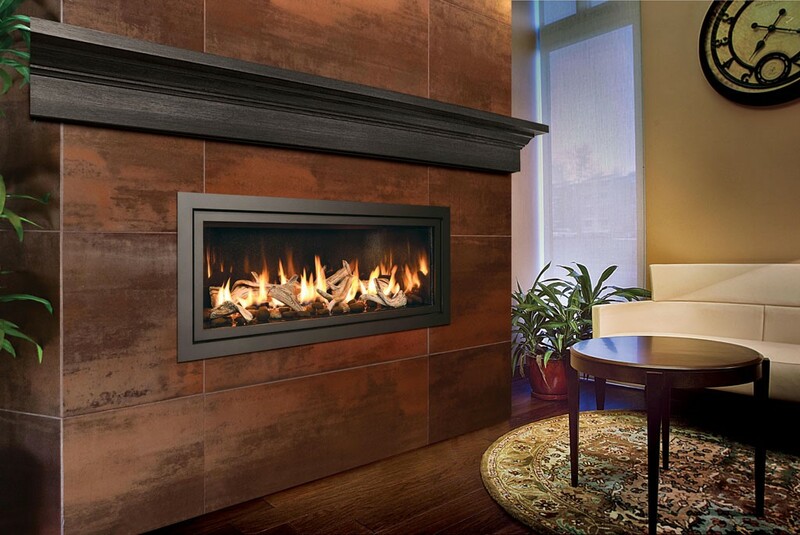 In these cases, a single horizontal ledge can be the understatedly beautiful touch their fireplace needs. Leaving that surface completely unadorned makes a bold statement, or you may choose to place just one or two decorative elements there to tie your room together. While your fireplace certainly creates its own drama and excitement as it is burning, you can highlight it in your room and truly make it a focal point with some unique lighting installations. For example, one or two recessed ceiling lights directly above and aimed onto the fireplace can draw the eye even when you don’t have a fire going. Or, introduce some twinkle lights or up-lighting directly to the mantel itself as part of your decorating. One of our favorite trends is the brightly painted mantel. Just as we’ve been seeing kitchen and bathroom cabinetry being painted bold colors in recent years, so too have mantels begun to appear in blues, greens, and other exciting hues. These colors can be used to draw attention to tilework or other characteristic fireplace facades/surrounds. While it can be easy to get this wrong, the good thing about painted wood is that it can be easily re-painted in the future. So, if you are in love with blue today, but later decide that neutral white is really more timeless, you can change it up. As you approach decorating around your fireplace or plan for an overhaul of your mantel, hearth, or the fireplace itself, you must take fire safety into consideration. There are established guidelines regarding what kinds of objects can be placed at varying distances from your fireplace to prevent fire danger. Whether these items are combustible (will easily catch fire) or non-combustible (materials like stone and metal that are fire resistant) matters to how closely the can be located relative to the firebox. For example, your mantel should be located at least 12 inches from the top of the fireplace opening – it can be made from combustible materials, but it should be properly installed by experienced professionals. Your hearth and the fireplace surround need to be made from non-combustible materials, and flammable decorative elements need to be kept away from the hearth, firebox, and surround. If you’ve just moved into your home and don’t know the history of your fireplace, your best course of action is to get in touch with a professional fireplace and hearth service company like us here at LanChester to have your fireplace inspected and tested before you use it for the first time. It’s a scary thought, but many house fires originate around fireplaces that aren’t properly maintained or that were not installed correctly. 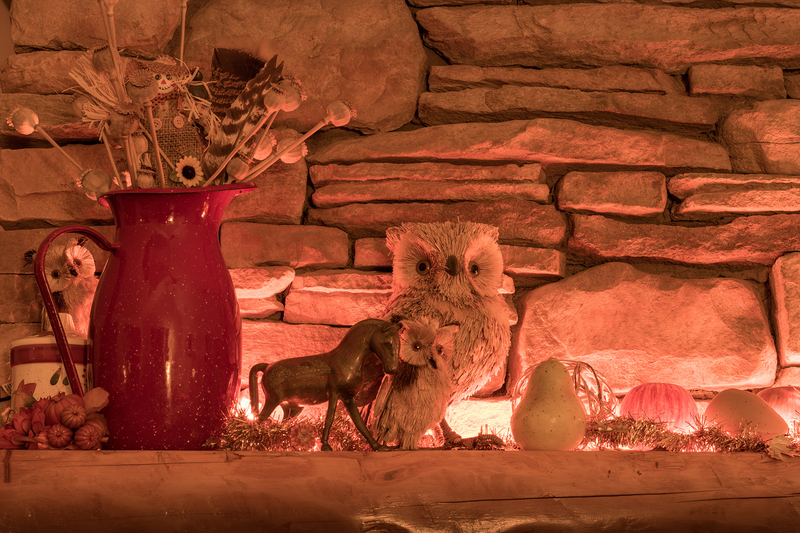 Adding any decorative elements around these fireplaces could increase fire risk. 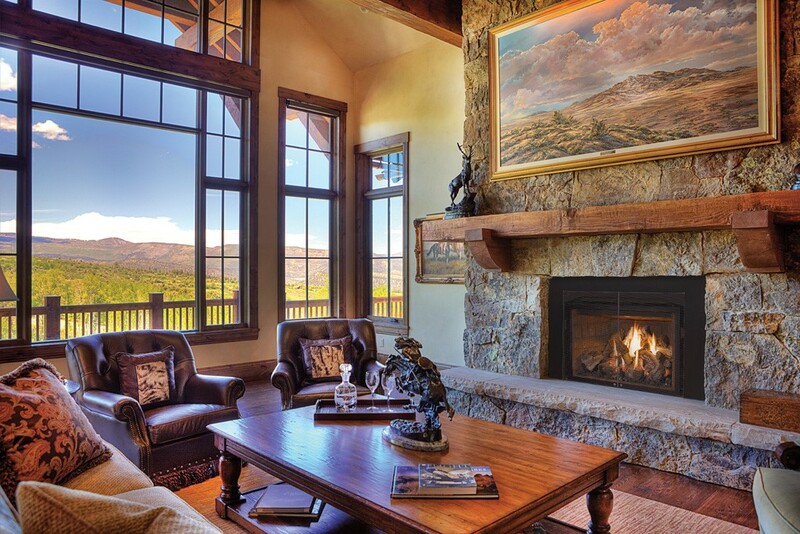 Does your fireplace need more than a little beatification? 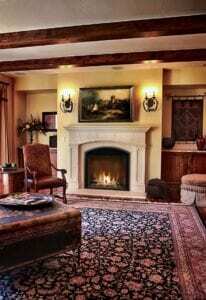 Here at LanChester Grill & Hearth, we specialize in making fireplaces both more beautiful and more functional. We also love to build brand new fireplaces, too! If you need help making your fireplace dreams a reality, we invite you to visit our showroom in Gap, PA to see working models on display and talk with our experts. Or get in touch with us right away!